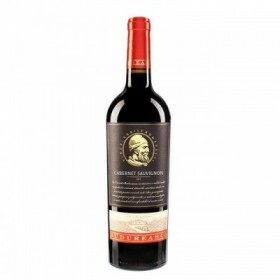 Winery Purcari from Republic of Moldova, offers Purcari Merlot, Cabernet Sauvignon Purcari, Purcari Pinot Noir, Sauvignon Purcari, Purcari Chardonnay, White Purcari, Purcari Red, rare Purcari, Purcari Cahors, quality wines superior, white, red, rosé, dry, semi-dry, semi-sweet, sweet. Fine taste of good wine is well known residents of this region. Since ancient times, this region was founded a colony of ancient Rome. The Romans had a huge impact on the development of local winemaking traditions and customs of consumption of wine.Over the centuries traditions have not died, but on the contrary, have taken root and become an integral part of local culture and Moldova became a country of exceptional wines. Wine, white, dry, mature, Purcari Sauvignon, is a Moldovan wine with a great bunch, matured and bottled in glass container type in Bordeaux. Cahors Purcari from Purcari Winery, a quality wine red to ruby, mature, sweet, matured in oak barrels with a special bouquet, glass bottled in Bordeaux, Moldova. Purcari Merlot, Wine Purcari represents Moldovan wine is red, dry, maturing in French Barique and bottles, taste, velvety flavor rocket. Purcari rare black, red wine, dry wine cellar product Purcari Republic Modova, high quality wine naturally aged in oak barrels and bottled in Bordeaux-type bottle VIP. Rose of Purcari, rose wine, dry wine blend, Purcari Winery, Republic Modova, high quality wine naturally matured and bottled in Bordeaux-type bottle VIP.